The Horizon Zero Dawn developer has a fancy new studio to help speed up game production. Guerrilla Games, the studio behind 2017's Horizon Zero Dawn, is growing. It's moving to a new studio and is adding new staff. You might say it's expanding its horizons beyond zero. The news about the expansion was published yesterday on Amsterdam news site Het Parool (thanks to Eurogamer for the translated summation). The new studio will park itself across five floors in the former De Telegraaf newspaper building in the center of Amsterdam. The move will allow the studio's employee count to jump from 250 heads to 400. 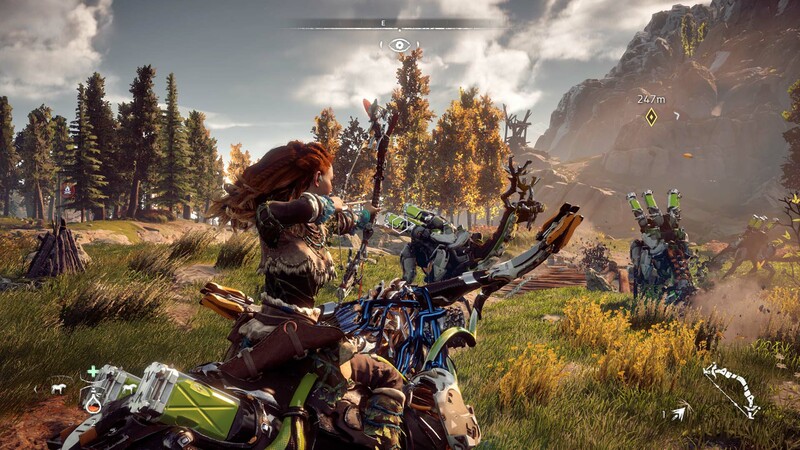 Guerrilla CEO Hermen Hulst hopes the additional staff will help the studio produce games at a faster clip: Horizon Zero Dawn took around six and a half years to produce, and Hulst understandably wants to pick up the pace a bit. "We want to release games in two or three years, both new titles and games based on existing titles," he told Het Parool. The new studio also has enough space for in-house audio and motion capture work. Sony shut down the Cambridge, England branch of Guerrilla games at the dawn of 2017. Horizon Zero Dawn launched shortly thereafter to critical acclaim. If you haven't played it yet, we have guides galore to help you through Horizon Zero Dawn's wild mechanical world. Tagged with Guerilla Games,	News.